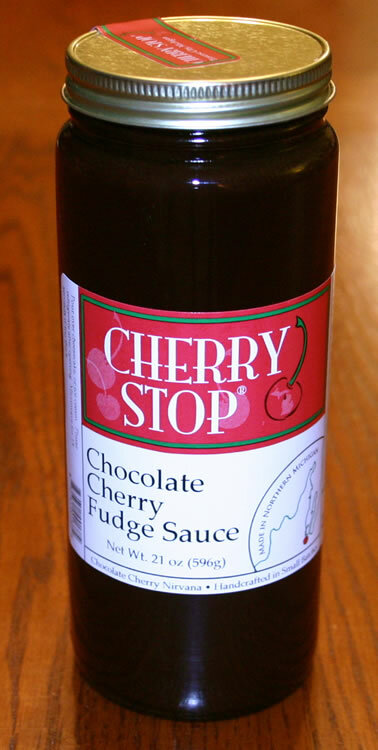 Made from scratch, this chocolate sauce is made perfect with Michigan cherries. We cook this chocolate sauce in our own kitchen until it is just right. The tart cherries give it a perfectly sweet and tart flavor. Perfect over cheesecake, chocolate cake or on ice cream. Try pouring it over some fresh strawberries!